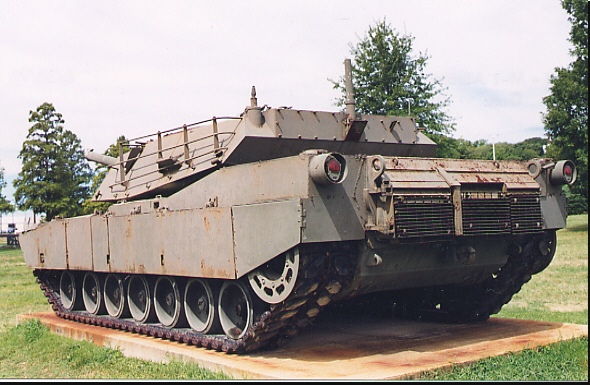 This vehicle was nicknamed the "Thunderbolt" after the tank Gen. Abrams commanded in WWII. This model was used for tests at APG. It was one of the first models off the production line in '80. 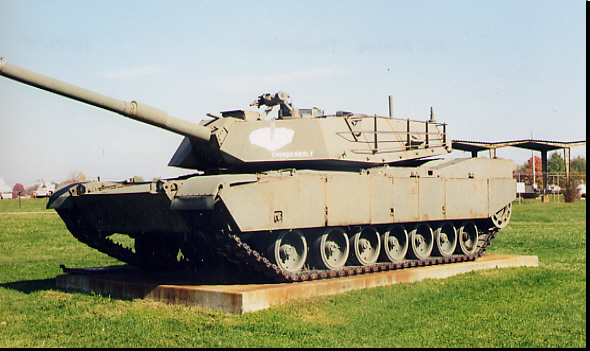 MBT which proved very effective in the Gulf War. The combination of the AVCO Lycoming gas turbine engine with the Detroit Diesel Allison X1100-3B hydrokinetic transmission provides automatic shifting with 4 speeds forward and 2 reverse. 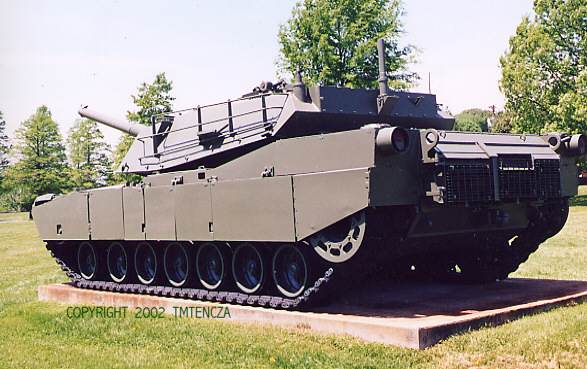 This tank can reach speeds of up to 60 mph even though reported top speed is 45 mph. 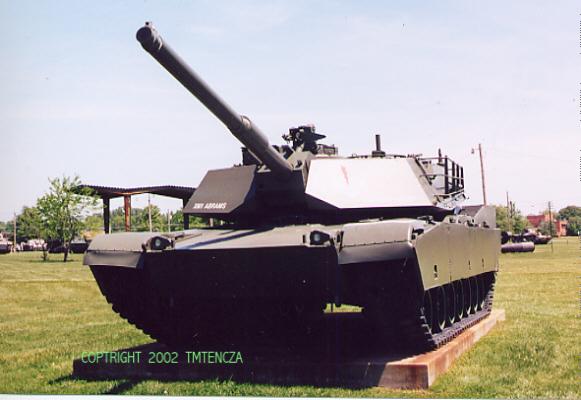 The Model M1 mounts a 105mm gun. 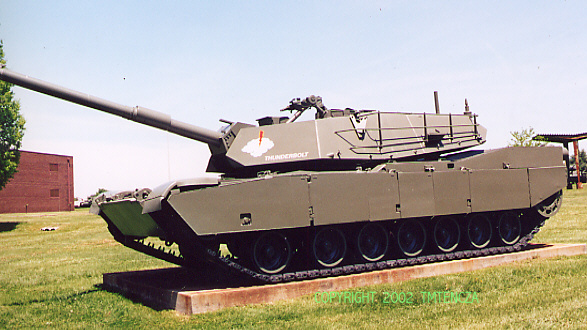 Later models are equipped with a 120mm gun of West German design (Rheinmetall). 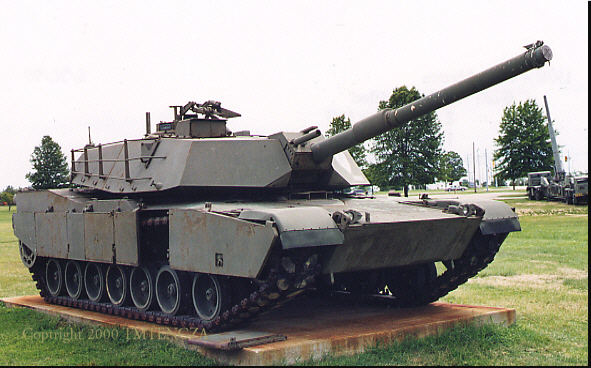 This tank is equipped with a very sophisticated Laser Rangefinder system providing excellent first-round hit probability. 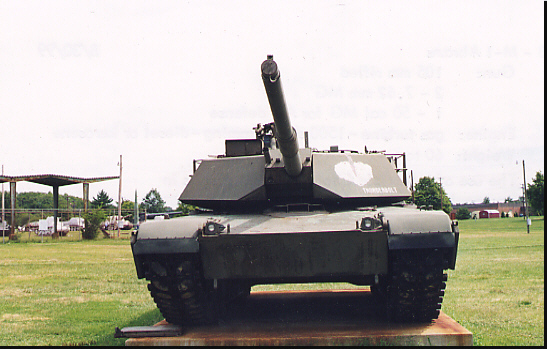 The hull is protected by advanced armor similar to Chobham armor. Note the skirt armor to protect the suspension system and the hull.